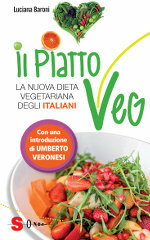 VegPlate® is managed by the Italian Scientific Society of Vegetarian Nutrition - SSNV. All rights reserved. SSNV however encourages the dissemination of the contents of VegPlate through links to this site and sharing on social networks. The PiattoVeg was created by Luciana Baroni, M.D., specialist in Neurology and Geriatrics, with a Master's degree in Nutrition and Dietetics, and founder and president of Scientific Society of Vegetarian Nutrition-SSNV. A scholar of vegetarian nutrition and its health implications, she is the author of articles and books relating to health, nutrition and lifestyle. 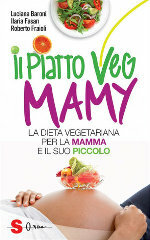 For further insights we invite to read the book "Il PiattoVeg, la nuova dieta vegetariana degli italiani", by Dr. Luciana Baroni, Edizioni Sonda 2015.